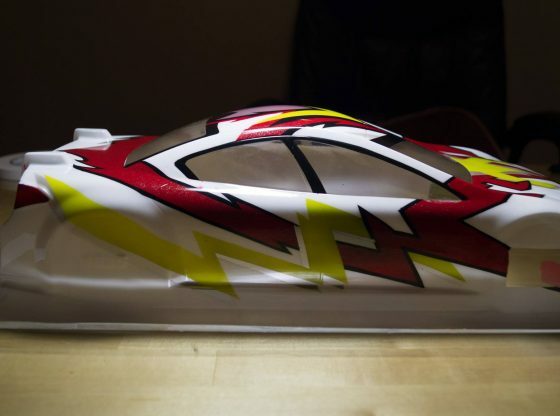 Hi everyone, I’ve been super busy the last month painting bodies and racing that I haven’t had time to update. The Serpent 733 nitro sedan has been running very well and each time I go to the track I discover new things to enhance the car. I’m not running slightly harder tires (37/40) than before which has led to some wheelspin on our low traction parking lot track. I may need to go back to softer tires to prevent this tire wear. I have tested Ackerman which proves to be a great way to find the best steering feel for the layout and track. 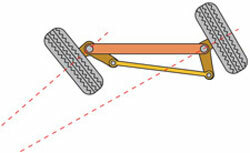 The overall steering is the same with either Ackerman setting it just changes how and when the steering comes into play. It can really help the overall balance of the car. I’m also running the short wheelbase in the rear with a medium wheelbase up front. The car rotates better everywhere without sacrificing drivability on the very technical parking lot track layouts. I want to try a short wheelbase in the front. The thicker diff oils definitely make the car feel better and planted without diffing out exiting corners. I am still struggling with Serpent leaking diff cases but hope to have it resolved after removing the rubber o-ring that came with one of the diffs. The other diff is getting a fresh diff case as I stripped it during my last outing. The car is also going on a diet of about 50 grams. The heavy old receiver battery will be replaced with a super lightweight ProTek LiFe battery and the throttle servo with a low profile Ko Propo servo I had already. 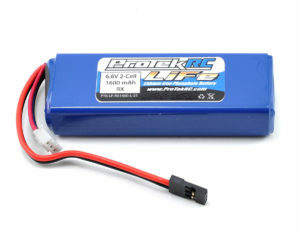 I chose a LiFe battery because I won’t have to reduce the voltage like I would if I bought a LiPo. Both are super lightweight, being over 40 grams lighter than a NiMh receiver battery. Eventually I will replace the steering servo with a similar servo. Overall, the car has been a great experience to own and I look forward to testing. I still want to compare Protoform bodies and flex options in the car.